Spring is finally here. We had a long winter this year. Lots of snow, which was nice, but I am looking forward to the flowers blooming, and some sunshine! This winter was full of ups and downs. The ups were quite exciting, I was invited to present at the NOFA-VT Winter Conference for the first time. My workshop was titled “Market Research: How to Assess Opportunities.” It was quite fun and I was pleased to see that the class almost reached maximum capacity with 37 out of the 40 workbooks we printed, spoken for. You can download the workbook here. Unfortunately, the downs were that during my workshop my father was rushed to the hospital back home in Quebec. He spent the next two months in hospital and passed away at the end of March. 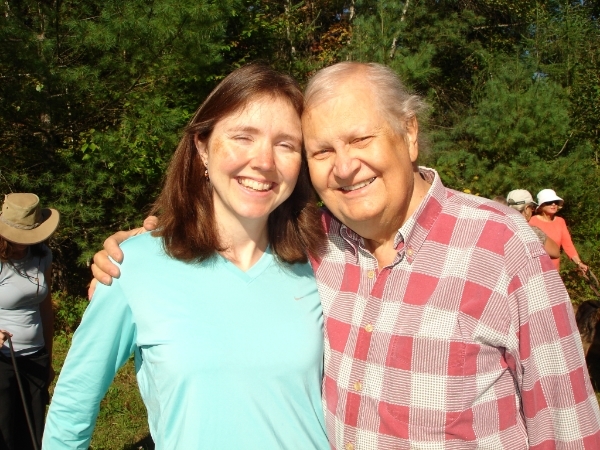 I spent much of the winter dodging snow storms rushing back and forth to see him, planning trips to farms in the Northeast Kingdom as a way to get work done while visiting. In a whacky turn of events, the week-end my father passed away, I was en-route to see him while heading even further up the road to attend my Aunt Marian’s funeral in Brockville, Ontario. 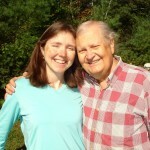 She died suddenly a week before Dad, on St. Patrick’s Day. So, it’s been a pretty heavy winter, but some bright lights are on the horizon: Jeff Roberts and I are wrapping up our NCIC Rural Jobs and Innovation Accelerator Challenge Report, and Rebecca Brown and I are putting the finishing touches on the Ammonoosuc Conservation Trust Keep Growing Market Demand Study. Both of these have exciting implementation steps being recommended so be on the look-out for the published reports! The Vital Communities Agricultural Economy Needs and Markets Assessment study is also well underway and it is very fun to note that Nancy LaRowe, of Hogwash Farm has been hired as our lead interviewer! Go Nancy! April saw the wrapping up of most all of the 2013 business plans for Farm Viability and we are now getting 2014 farms underway. On that note, I just received a call from an aspiring farm in Wyoming looking for business planning and recently completed work with my first farm in Maine and two farm projects in Massachusetts. Farm Viability is getting around! Have a great spring and happy summer. This entry was posted on Friday, May 9th, 2014 at 4:09 pm and is filed under Uncategorized. You can follow any responses to this entry through the RSS 2.0 feed. Both comments and pings are currently closed.